Looking back, he would have "implemented 1MDB in a different manner." Najib, who chaired the 1MDB advisory board, said that looking back he would have "implemented 1MDB in a different manner." 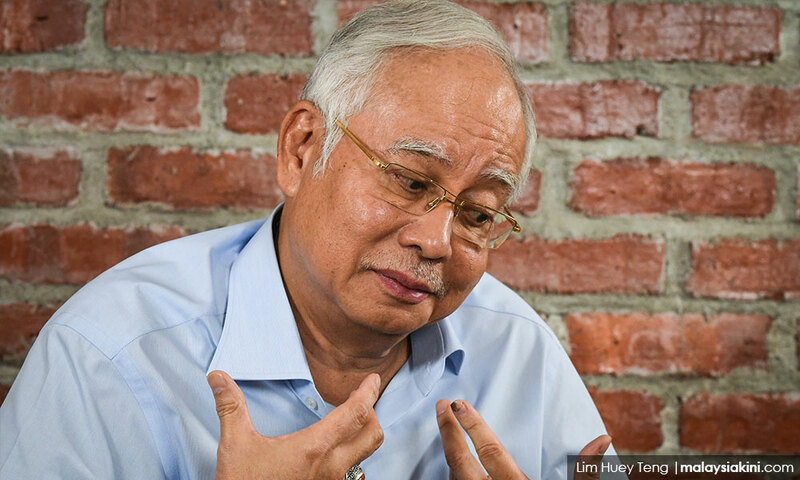 The former prime minister, who maintains that he never abused public funds for personal gain, however, today admitted to Malaysiakini in an exclusive interview that the idea of financing 1MDB through debts was not the best of decisions. "Probably in the execution of 1MDB, we should have put in more safeguards to ensure transparency, good governance and accountability. I regret not doing this as a lot of things went wrong," he said in the interview with Malaysiakini that was published today. "We were facing elections and we didn't want things to be twisted or spun around. "The A-G report had always been made available to the PAC with opposition members. They went through it and they were satisfied. We thought that was enough. "But in hindsight, which, as they say, is always 20/20, we should have just made the AG report available as an appendix to the final PAC report," he told Malaysiakini. While the Barisan Nasional government was midway in its five-year term in 2016, it wasn't really facing the general elections. There were two years still left before the 14th general election was actually due. Although, it could also be held earlier. "I still believe in our transformation plan, I would not change that. My vision for Malaysia, I would continue with that," Malaysiakini reported Najib as saying, who added that even the 1MDB issue was exploited by Pakatan Harapan coalition against the Barisan Nasional government with a "negative" campaign involving character-smearing. He said that running a major party like UMNO is an expensive affair. The former BNM governor will assume the post at PNB on 1 July. He was flying from Kuala Lumpur to Melbourne.